Walking into Theo Friedman's apartment this past Friday, I'm instantly welcomed with a smile and his homemade tangerine ginger soda. I take a sip as introductions are made, and as the unique combination of flavors hit my palette, I know this food-filled night will not be like any other. His parents apartment is spacious and open, and with the amount of art on the walls, it largely resembles an art gallery. I will soon learn how completely accurate this is. Friedman, 22, is a recent graduate from Tufts, now residing in the city. While at Tufts, he received a $350 grant from the school to create a 20 course meal for ten people. The purpose of the project was to write a paper on how the food industry has created a disconnect between the people preparing the food, and the people cosuming it. 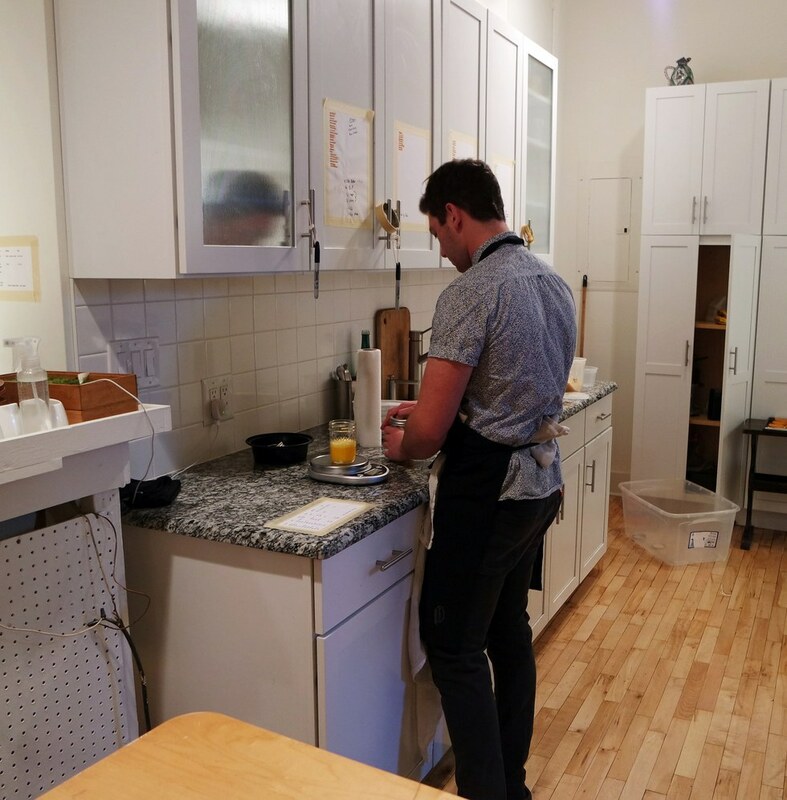 This disconnect is one of the driving forces behind Theo's decisions to do pop-up restaurants versus working at or owning an actual restaurant, at least for now. "The guest can come into the restaurant and have the most amazing experience and feel like the happiest person in the world, and the person making the food could be having a terrible time. I don’t ever want to eat somewhere where the people aren’t totally excited about being there and making that food. I know in most restaurants that that’s not totally doable, but that’s what I’m trying to create". As guests (10 total) begin to trickle in for the event, it's clear that Friedman means what he's saying. Each guest is greeted the way I was. Even though he has two friends, Tyler and Amadou, acting as sous chefs/assistants/waiters, he greets each set of guests personally. He takes the time to put their coats away for them if needed, all the while getting to know each person who arrives. Most of the guests have found out about the dinner through a friend or acquaintance of Theo's, while two are complete strangers. The final guests arrive, and we're seated at the dining room table together. While there has been the initial awkwardness of 10 strangers warming up to each other, conversation is soon flowing smoothly. I learn that seated around me is a lawyer, two college seniors (one majoring in fish biology), a food entrepreneur, and an actress, among others. Some are complete foodies, and blew me away with their knowledge of restaurants, coffee shops, and even food trucks in the city. Some are just there because they heard the food was good and the experience was great, and they haven't even eaten half the things on the menu before. The first course served isn't on the menu, but no one is complaining. A bite-sized introduction for what lays ahead of us, Theo tells us that we have given chunks of smoked green mango topped with an untraditional mole, toasted pumpkin seeds and sunflower. There is silence around the table as everyone takes in the sweet smokiness of the mango complimenting the spiciness of the mole. 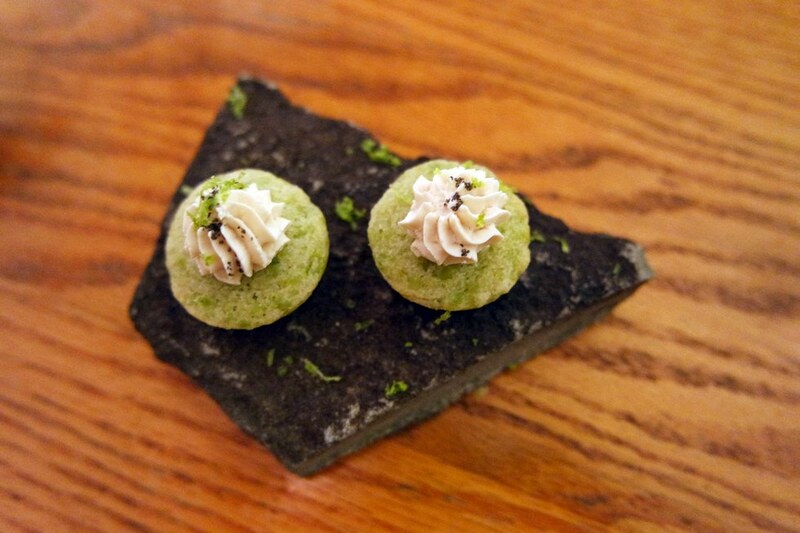 The following course is a warm edamame financier (a sort of light sponge cake) topped with a soy goat cheese mousse, lava salt, and lime. One of my favorites of the night, it perfectly exemplified the unique dishes that Friedman concocts. One wouldn't generally think to combine edamame and goat cheese, but he did so in a way that was both creative and delicious. A squash tart is served next, and what stands out most about these are the squash chips that decorate them. They're impossibly thin, leaving everyone in awe as the chips practically dissolve in our mouths. Theo's voice comes from the kitchen, momentarily interrupting our reverie, "You're all very quiet". We assure him that that's a good thing. As the next course is served, Theo tells us that this is where we're really starting to get adventurous. "Then again, you're already eating dinner in a stranger's apartment". He goes on to tell us that this round is a "course in gluttony", and he doesn't disappoint as we are served black garlic doughnuts filled with black garlic and yuzu kosho aioli, topped with sea urchin. Easily my favorite of the night, the warm doughnut is, "Such an umami bomb", as one guest puts it. The only downside of this dish is the despair one feels once they realize that they have finished it. 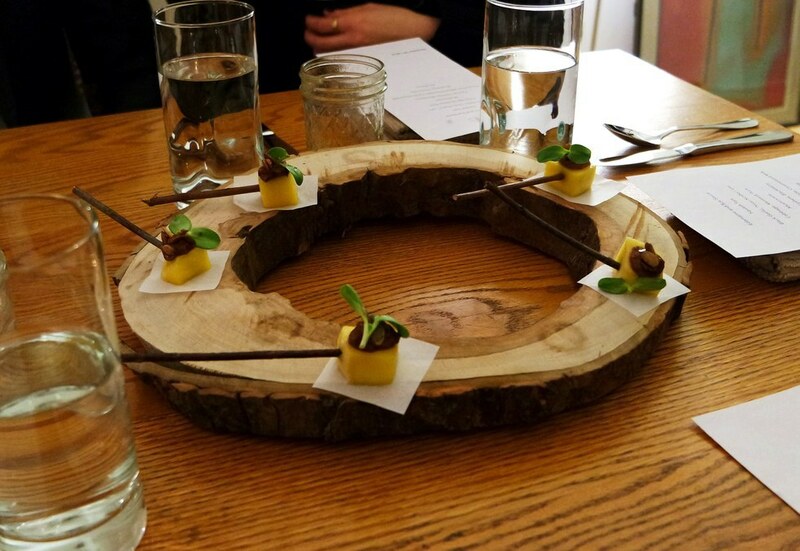 The following courses dazzle with Friedman's take on pastrami and rye (which included a pork belly that cut like butter), mini sandwiches made from mushrooms, and a roasted parsnip paired with brown butter solids and pickled blackberry (pictured below). Each dish surprises and delights us as we try combinations of foods that we have never had before, and likely never will again. "I get bored very easily", he tells us later. Some guests have stepped outside for post-dinner cigarettes, while the rest of us are gathered around the island in the kitchen conversing with Theo. 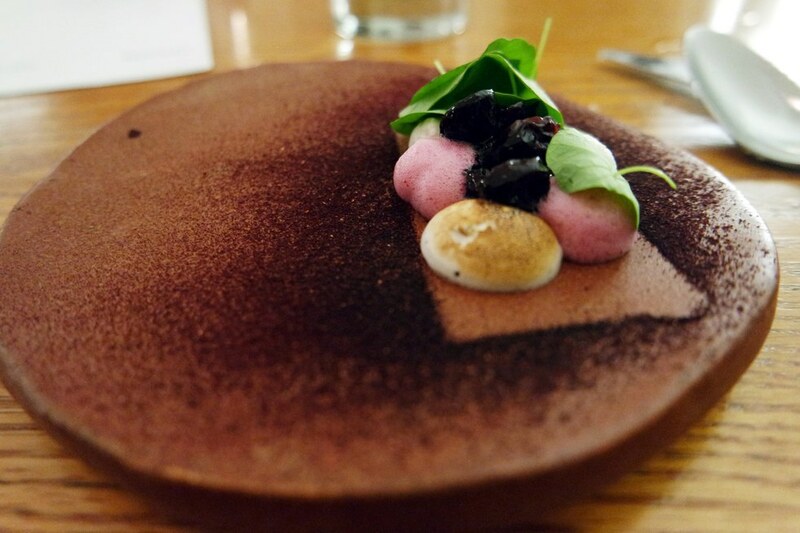 He is constantly creating new dishes, and tells us that the only thing he has repeated recently was the black garlic doughnut, and even that he's only made for guests twice. I am told later that one of the reasons that he's so hesitant to return to the fine dining restaurant industry is because there is the expectation for the restaurants that you have to have a set menu, because people are going to want to come back for the same things. 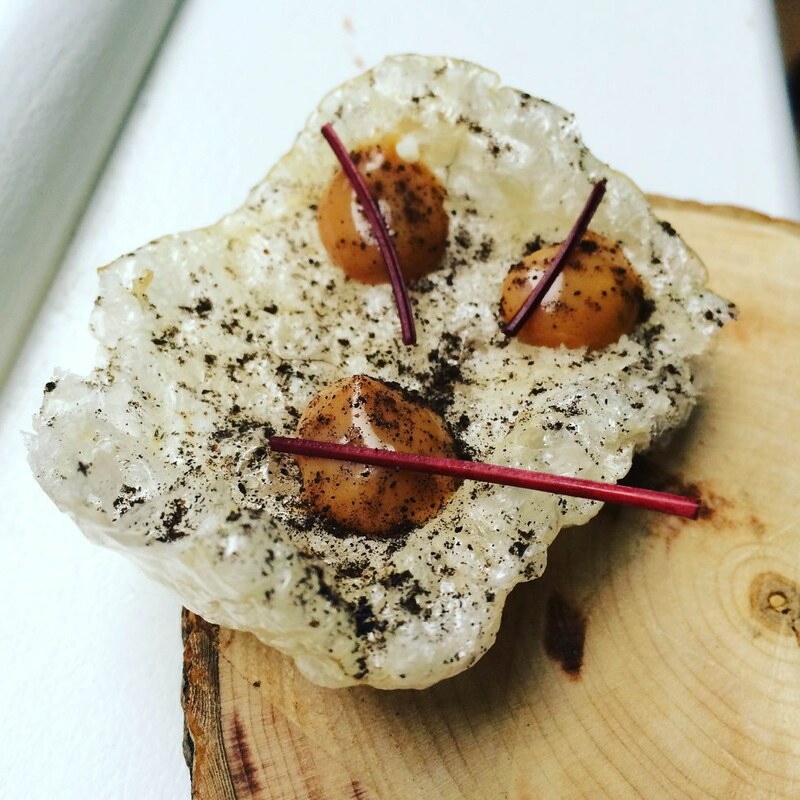 This just isn't how Friedman currently operates, and so instead he has turned to his out of the box pop up technique to create this unique dining experience along with the unique food he serves.
. I try to just let it happen as naturally as possible and that's when I get something worth serving. The bar for good food that stands out is set to nearly impossibly high standards when it comes to New York City. 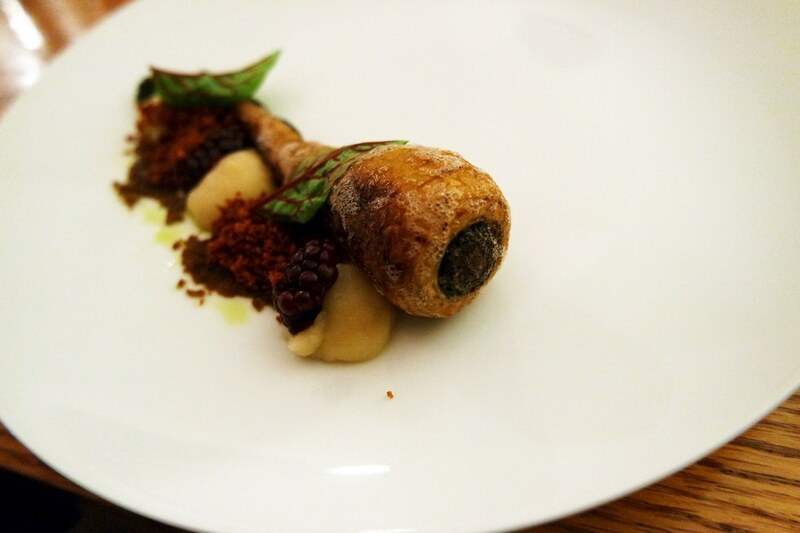 Delicious food isn't wanted but expected when one is eating in New York, and Friedman's food goes above and beyond. 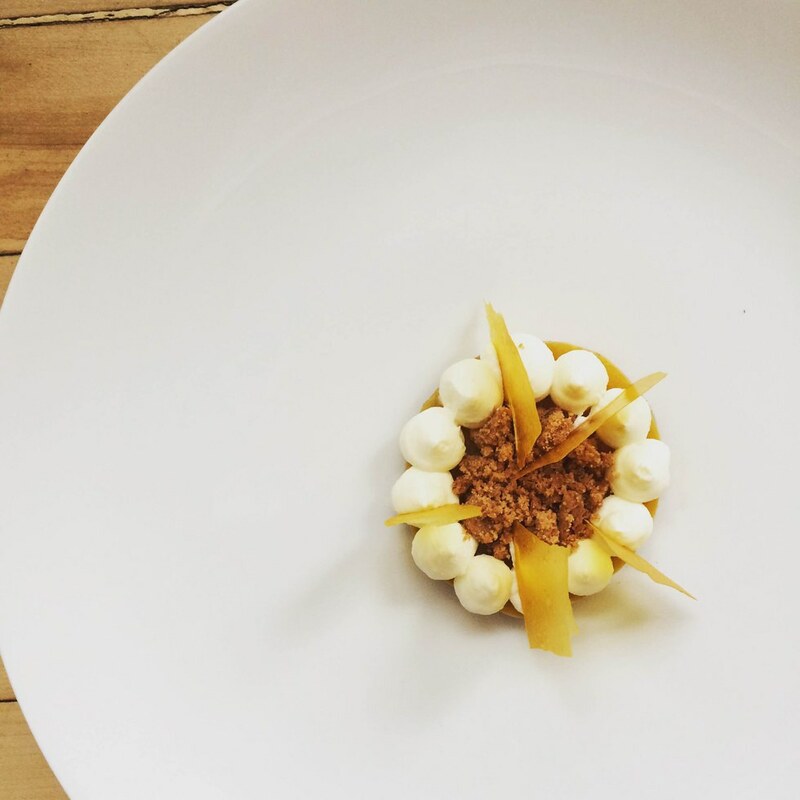 Each dish is served with an artistically beautiful presentation, and each bite taken is packed with unique flavors and textures. Keep an eye on this one, because when he eventually does open a restaurant, it has a Michelin star coming its way.